Color. 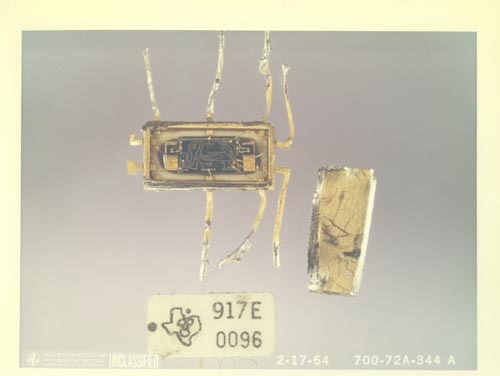 Close up view of TI 917E Integrated circuit chip. Top has been removed to show the circuit board and components inside. Recto bottom left " Autonetics Photographic Section Anaheim, California Unclassified"